I was tasked to design a landing the page to showcase this product. I designed the information architecture of what the account and content team wanted to communicate. I developed a layout featuring the benefits and usage of the product, it's key properties, influencer content, an online coupon, newsletter signup, and other Cold Cream articles. 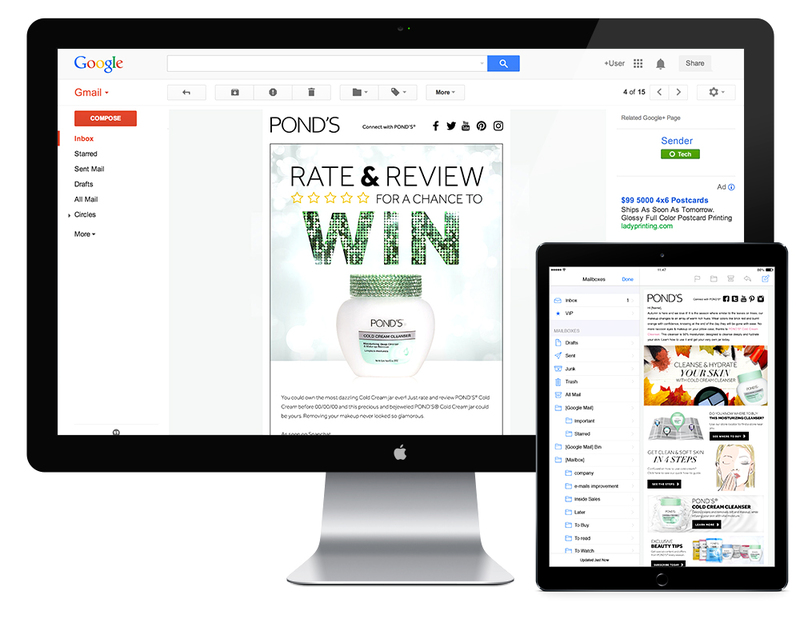 The POND'S website needed to showcase more information and content about the Cold Cream Cleanser. The Cold Cream Cleanser is POND'S most iconic product developed in 1907 and still to this day. 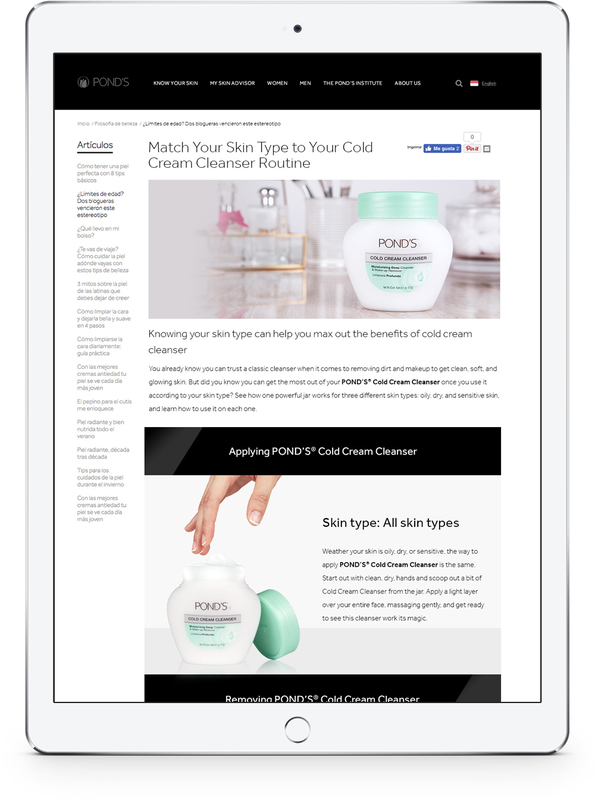 The purpose of this article is to educate consumers on how to use POND’S Cold Cream Cleanser by skin type. This content piece highlights the three main skin types that cold cream is good for, why it’s good for that skin type, and how to use it per skin type.